George III (1760-1820) died at the age of eighty-two. 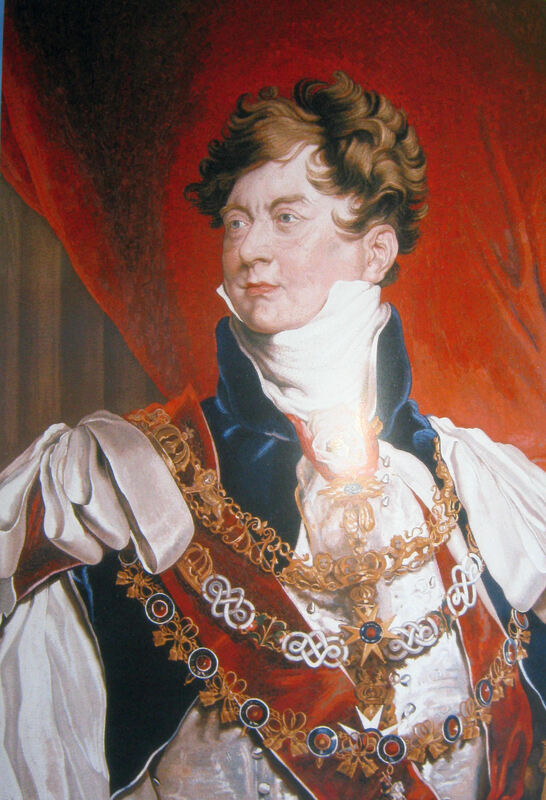 He had been deemed incapable of ruling the country since 1811, when his son, George IV (1820-1830) had reigned as Prince Regent. Within the ‘ton’ – the name given to high society of the time – the Prince Regent was feted, the Napoleonic Wars (1792-1815) were being fought and ordinary people saw him seen as extravagant and self-indulgent. Following the victory of Waterloo (1815), approximately a quarter of a million soldiers and sailors, many of them maimed, returned home and were faced with no prospects. Crops had been poor and so food prices were rising. Income tax was abolished and replaced by taxes on staple commodities and to save money, Poor Law relief rates were drastically cut. Starvation was rife. The marriage of George to Caroline, his first cousin, in 1794 was seen as politically expedient to cement alliances at the start of the Napoleonic Wars. Also for George to sire an heir with hopefully, a spare. In return, the government paid George’s debts amounting to some £150,000. George had previously contracted a marriage with Maria Anne Fitzherbert (1756–1837), but as she was a Catholic this violated the Royal Marriages Act of 1772 so was unlawful. 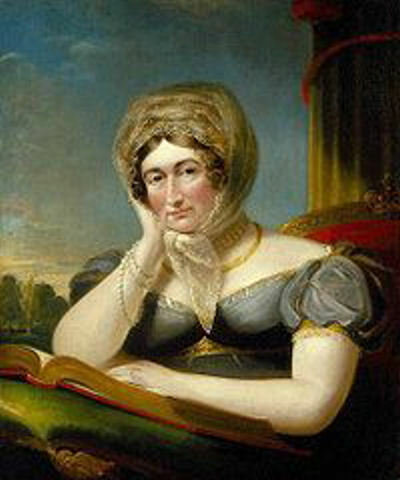 At the time of George’s marriage to Caroline, Frances Villiers, Countess of Jersey (1753-1821), was his latest mistress, having superseded Mrs Fitzherbert. The royal couple, who had never met before, married on 8 April 1795, he was drunk and described her as short, fat, ugly and smelly! Over the next two days, the Prince did what was expected of him and then abandoned the matrimonial bed and returned to the Countess of Jersey. Nine months later Caroline, having been given the title of Princess of Wales, gave birth to a daughter, Princess Charlotte of Wales (1796-1817). Within a week, George had made out a new Will leaving all his property to his ‘wife’ Mrs Fitzherbert and Caroline, one shilling (5pence). The ‘ton’ cold-shouldered Caroline and three years after the marriage, the couple separated but she retained her title. Moving to a house in Blackheath, London, Caroline created her own social circle and it was said that she entertained a number of lovers. One of these was Sir Sidney Smith, (1764-1840) son of Captain John Smith who built Smith’s Folly. Caroline’s daughter Charlotte, in 1813, married Prince Leopold of Saxe-Coberg-Saalfeld. Charlotte was popular so the marriage was an excuse for celebration, particularly in Dover. On 6 April 1814, Napoleon of France, abdicated and on 8 August, Caroline stayed at the Fector house in Dover before crossing to the Continent. She was a friend of the family and the Fector’s had named their third daughter after her. From the British government, Caroline had negotiated an allowance of £35,000 a year and after crossing to the Continent in one of the Fector ships she made her home in Italy. However, in November 1817, Charlotte died in childbirth – her son was still born. George III died on 29 January 1820 and Caroline was brought to England in the Prince Leopold a Fector Packet (mail carrying ship) – Master R Rogers. She arrived on 5 June 1820 and was given a tumultuous welcome plus a royal salute from the commandant of the garrison plus a guard of honour! 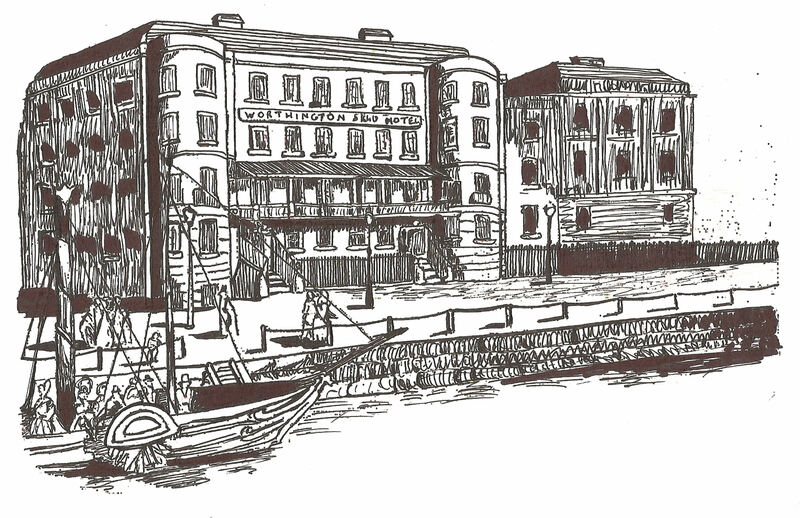 As Caroline tried to walk from the harbour to the Ship Inn, close by, the crowds were so abundant that she was forced to go to the York Hotel. From there Benjamin Worthington, the proprietor of the Ship, rescued and guided the Queen through an internal passage between the two hotels! Caroline stayed until the evening and the crowds outside chanted, ‘God bless Queen Caroline!’ When she left for London and local men unhitched the horses of her carriage and pulled it manually. The road out of Dover was also crowded with people who cheered as she passed by. George, oblivious to all of this, was trying to secure grounds to divorce Caroline. A Bill had already been introduced to Parliament designed to strip Caroline of the title of queen consort and dissolve their marriage. In it she was accused of adultery with Bartolomeo Pergami, one of her servants in Italy. On arrival in London, the hapless Queen was forced to undergo a humiliating eleven-week inquiry by the House of Lords with witnesses against Caroline summoned from Italy. 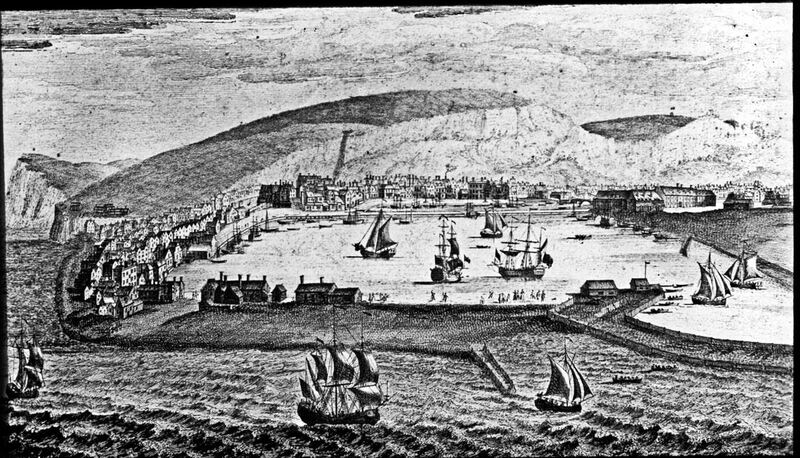 The first group, of which were eleven men and one woman, arrived in Dover on 7 July. No sooner had they set foot on land than a crowd gathered and demanded that they should return to the Continent. The Mayor, Sir Thomas Mantell, read the Riot Act but the townsfolk took no notice. Robert Jenkinson, the Earl of Liverpool, (1770-1828), was the Prime Minister and the Lord Warden of the Cinque Ports (1806-1829) and he was none too pleased with how the town had behaved. Nonetheless, Caroline’s trial went ahead and it was said that she had over 100 potential witnesses in her favour many from the first families in Italy. When asked if she had committed adultery, Caroline said that she had … with one man, ‘the husband of Mrs. Fitzherbert.’ The House of Commons, with little evidence to go on, abandon the case and the town of Dover was blamed for this catastrophe. Caroline’s initial welcome was cited along with the failure to put down the riot and the way the witnesses had been treated. The government demanded arrests and imprisonments of the ringleaders but these were ignored. Prior to the Coronation the Earl of Liverpool had told Caroline that she should not attend but she did, only to find the doors of Westminster Abbey locked against her. As tradition then dictated, Cinque Port’s burgesses carried the coronation canopy accompanied by two officers. 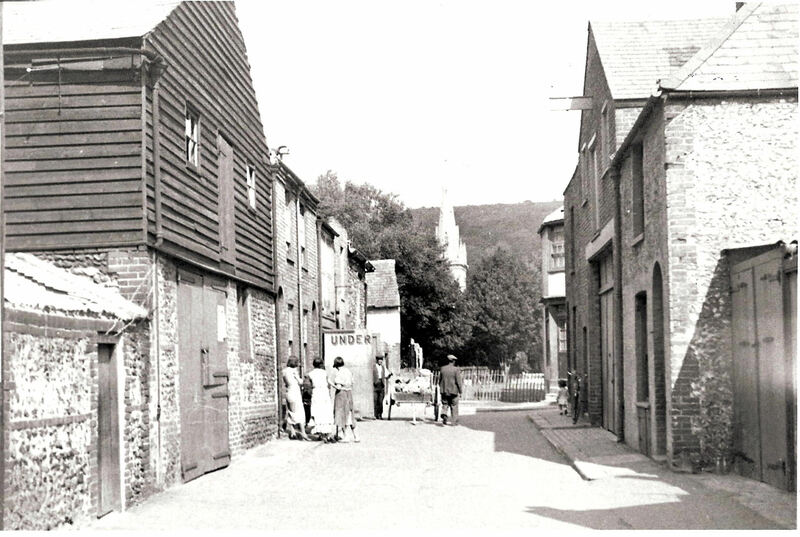 One of the officers was Dover lawyer, John Shipdem and Dover’s two burgesses were Edward Bootle Wilbraham (1771-1853) -one of Dover’s two Members of Parliament – and Mayor, Henshaw Latham. 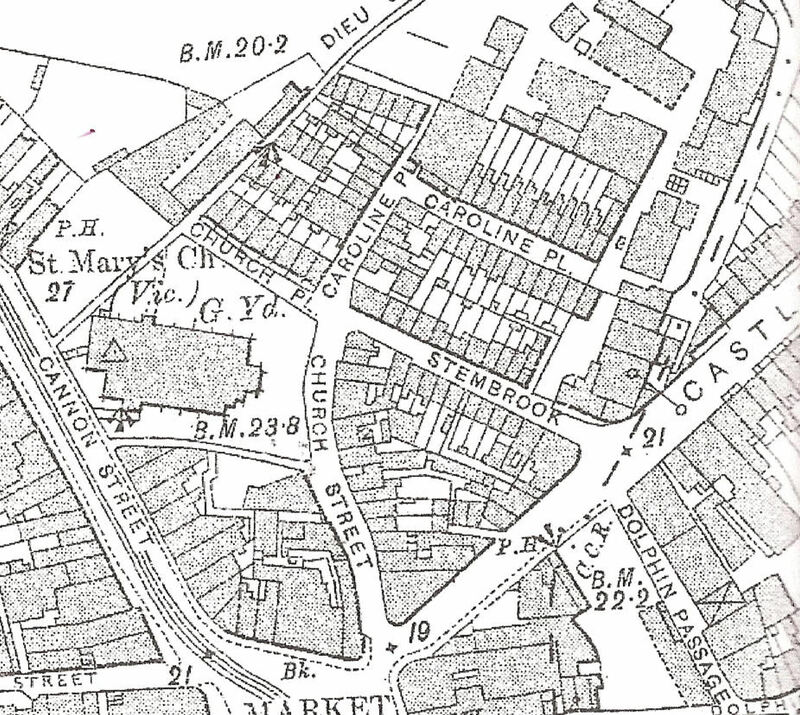 In Dover, Caroline Place was named after her, which was roughly where Stembrook car park is today. The short street succumbed to World War II attacks but because the Queen’s full title was Caroline of Brunswick it was decided not to name the car park, after Queen Caroline! *Portrait note: The portrait of Queen Caroline, ca. 1820, by James Lonsdale, who styled himself ‘Principal Painter in Ordinary to the Queen’. Her hands are arranged to display her wedding ring in order to emphasise her fidelity to her marriage vows. This entry was posted in Caroline of Brunswick – Dover’s Queen, Royalty. Bookmark the permalink.